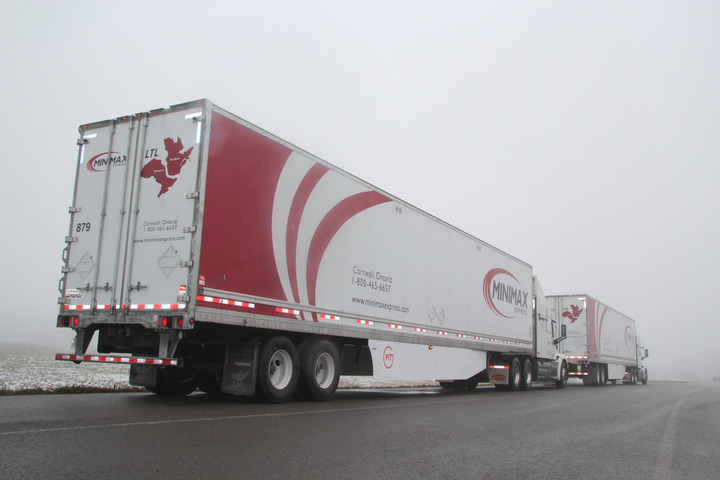 The PIT Group took part in successful highway platooning tests between October 29, and November 2, 2018, on highways around Montreal, La Tuque, Trois-Rivières and Blainville, Quebec. FPInnovations’ transportation division PIT Group, Transport Canada, Auburn University, and Minimax Express Transportation recently collaborated to perform Canada’s first ever on-road commercial vehicle platoon trial. The technology, designed by Alabama’s Auburn University mechanical engineering department, has already been successfully tested on highways in the United States. A minimum distance of 20 meters was kept between the two trucks, which allows a passenger vehicle to safely cut in between the trucks. The platooned trucks disassembled at highway entrances and exits. In all, the truck platoon travelled approximately 1000 km on highways with regular vehicle traffic.